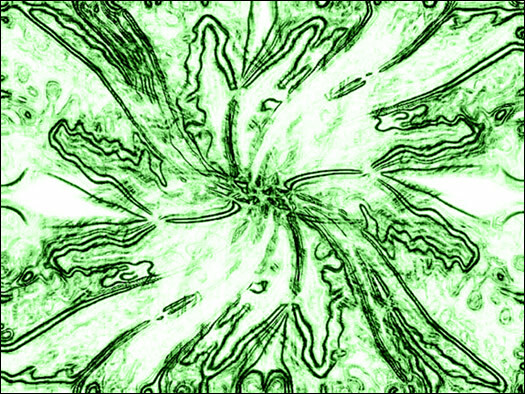 Comments: Simply an abstract art that I made -- and as with most of my abstract arts, I do like how it turned out. This abstract art, however, was made for an entry at Maroon Caludin's site; she was holding an abstract art contest. Comments: Another blend I made for Seishinseii Wallpapers' blend contest. 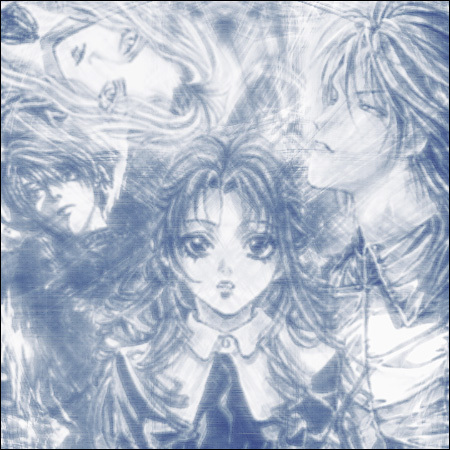 Features a few characters from Angel Sanctuary -- Setsuna, Sara, Rosiel, and Lucifel. Like in my first blend, I also used abstract art for a more enchanting look. 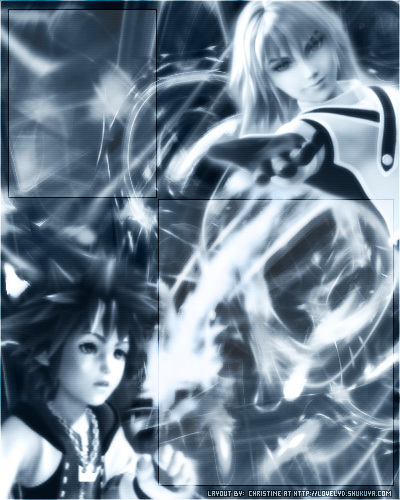 Comments: If you've been to Neopets and their guilds before, then you might already have the perfect guess of what this is... That's right: it's a guild layout, featuring Sora and Riku from Kingdom Hearts. When I made this, I had joined a guild owned by someone who asked for a "guild layout maker." It was quite some time ago. Anyways, I really LOVE how this turned out. ...the bad part is that the prick never neomailed me back. When I questioned her about it, she got all snobby at me and we had a neomailing argument. In the end, I left her guild because she pissed me off with her pompous attitude. And just for the kick of it: her guild sucked, as did the layout she made for it. 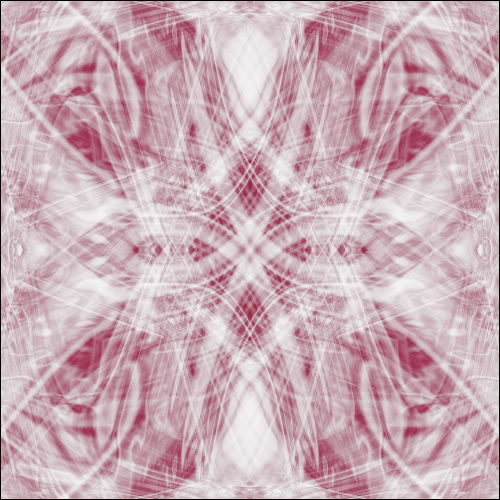 Comments: An abstract art I made with the help of a tutorial (my apologies, but I forgot the URL). 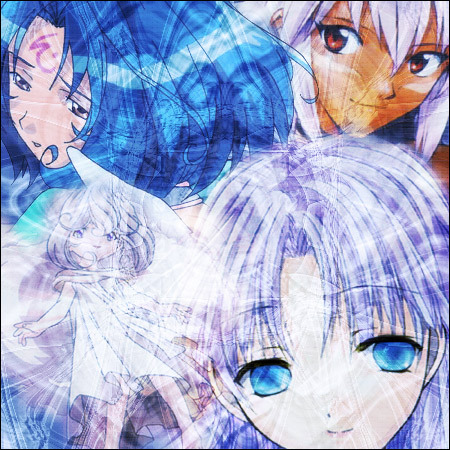 I used it in my layout for Saibokaku (a separate hostee site Shukuya.com used to have), but that's about it. I made this at the time when I was still pretty much into learning how to create my own abstract arts (without the aid of tutorials).